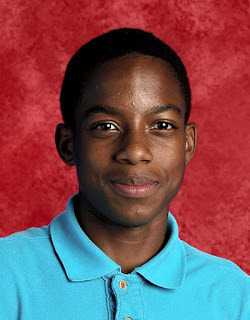 HIS NAME IS JORDAN EDWARDS! Thank God for the body cams on the police officers involved in the murder of Jordan Edwards. The officers had fabricated a story about the car coming at them and were going to paint Jordan Edwards,an honor student, his brother, and his friends as thugs and the aggressors. We now know that that story is false and the boys had not been drinking. Well lets see if Trump comments at all or at least ask his "Justice" department to look at the case. George L. Cook III African American Reports. As family and friends mourned the death of a 15-year-old boy shot in the head by a police officer in a Dallas suburb over the weekend, the police chief said Monday that new evidence showed the killing did not unfold the way the authorities had originally claimed. But Jonathan Haber, the police chief, told reporters at a news conference on Monday afternoon that video showed the opposite. He said the officer fired when the car was “moving forward as the officers approached,” according to The Associated Press. The Dallas County medical examiner’s report ruled the death a homicide caused by a “rifle wound” to the head.